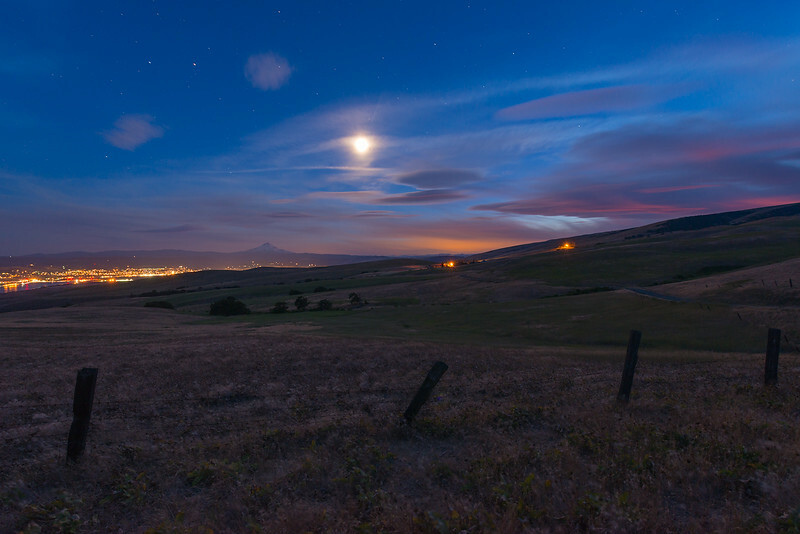 I was randomly driving around the Columbia Hills last fall in search of a nice sunset. This particular night the sunset was on point. You can still see the last light of sunset in the clouds to the right of the photo ( west ). After leaving the Columbia Hills I gunned it though the night to Crater Lake Oregon. The weather was perfect but a cold front was rolling in so I planned on lightening, clouds, and some nice light in the Crater Lake Region. Arriving in Crater Lake the next morning the conditions were shaping up. The remains of snow were on the ground, but it wasn't hard to hike through the park. I ended up staying down there for two days and camping in my sleeping bag under the stars shooting the Milky Way, sunset and sunrise. No lighting came out of it, but some amazing light did!